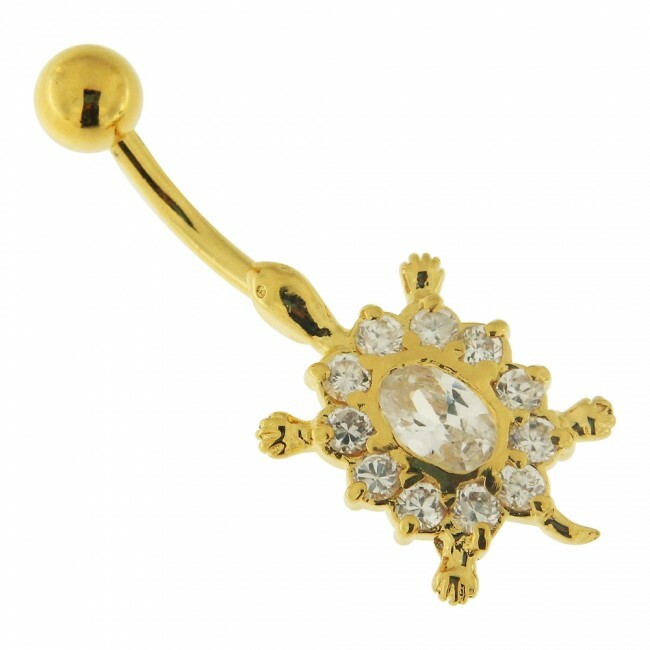 Pamper your toned belly as you slip on the Jeweled Turtle Belly Button Ring. This navel ring has a 10-millimeter SS curved bar and a 925 Sterling silver charm part. 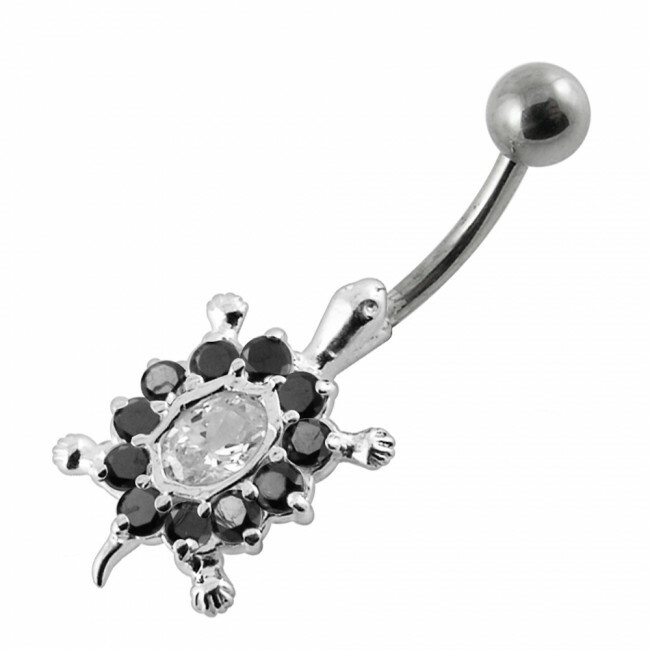 It is available in a standard thickness: 14 gauges. The dangling end depicts a turtle that is accented with colorful rhinestones in a pave setting.